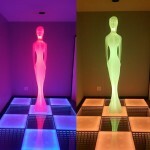 Illuminate the room with our custom made LED Foosball table, changes to various colors. Custom designed to hold and display alcohol types. LED wireless bar counter, Waterproof with High volume lithium battery! 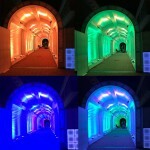 Mind blowing LED Tunnels are a great way to introduce your guests into your special event. Giant Corn Hole Toss LED version!